Vehicle nowadays are loaded with electronic gizmos and gadgets on the inside and under the hood. Unfortunately, these gizmos and gadgets do go bad over time and can be very costly to repair. Since most electronic components on a vehicle are connected to each other one way or another, long term usage of a malfunctioning unit can cause issues in other components as well. 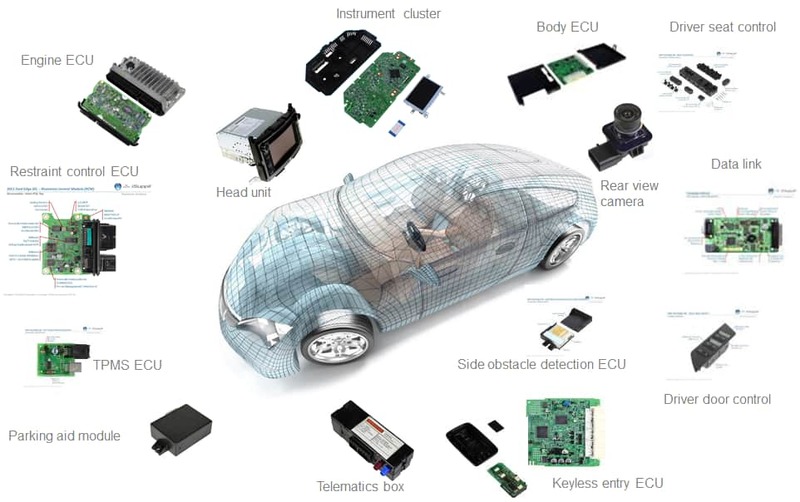 You car is loaded with many ECU’s(Electronic Control Units) each for a different system. Changing these electric components usually requires calibrations or programming in order to function properly. Our technicians possess both the skills and tools to tackle these problems on any vehicle.